This project involved converting the existing laboratory space located on the west side of the third floor into private and open offices, updating the restroom facilities to be ADA-compliant, and creating a new conference space for the Division of Rheumatology. Critical upgrades included modernizing the heating, ventilation, and air-conditioning (HVAC) equipment; sizing the air handling unit to supply the second floor in the future; and extending the sprinkler system. 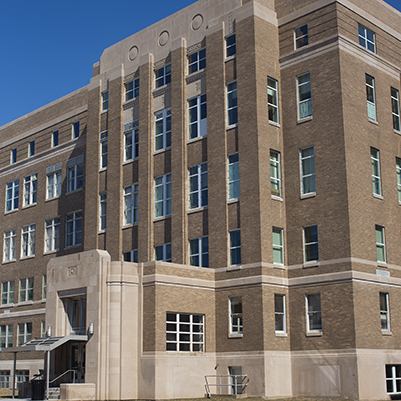 New, fixed one-inch insulated-aluminum windows were installed in the west wing to match the building standard.